Aviation in Australia is overseen through a combination of industry and regulatory bodies that deal with specific sectors of aviation, and the laws surrounding liability of carriers in Australia are administered under both international conventions and domestic legislation. Airservices Australia is a government-owned organisation established under the Air Services Act 1995 (Cth). Its functions include to 'provide services and facilities to give effect to the Chicago Convention, for purposes relating to the safety, regularity or efficiency of air navigation, whether in or outside Australia, including giving effect to other international agreements'.3 More specifically, Airservices Australia's main responsibility is airspace management. Established under the Civil Aviation Act 1988 (Cth), the Civil Aviation Safety Authority (CASA) is the primary regulator of safety regulations in civil air operations both within Australia, and Australian aircraft operating outside Australian territory. In administering a number of statutes, CASA is responsible for regulating and maintaining standards for training, education, licensing and certification of both aircraft and operators. Its mission is to 'enhance and promote aviation safety through effective regulation and by encouraging the wider aviation community to embrace and deliver higher standards of safety'. The Australian Transport and Safety Bureau (ATSB) is Australia's national transport safety investigator with responsibility for investigations of accidents in the aviation industry. Its functions are to assess and independently investigate transport safety matters, and identify factors affecting transport safety,4 and it is the body to which aviation accidents are reported. The ATSB works with other government and non-government bodies to improve safety in the industry. However, it is not a function of the ATSB to apportion blame or provide means to determine liability in respect of a transport safety matter5 and there are restrictions on the use of evidence gathered by it in the course of accident investigations. As Australia is a country with a federal political system, there is also state legislation relating to the aviation industry. the Montreal No. 4 Convention (given force by Section 25K). The 1999 Montreal Convention came into effect in Australia on 24 January 2009. It was implemented through the Civil Aviation Legislation Amendment (1999 Montreal Convention and Other Measures) Act 2008. 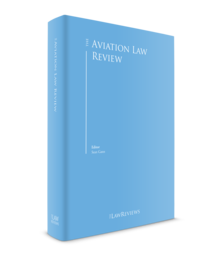 This had the effect of amending a number of pieces of legislations, including the Civil Aviation (Carriers' Liability) Act 1959, the Air Accidents (Commonwealth Government Liability) Act 1963 and the Civil Aviation Act 1988. Provisions covering Australian domestic carriage, and travel not otherwise covered by any of the above conventions, are found in Part IV of the Civil Aviation (Carriers' Liability) Act 1959 (Cth) (see subsection ii). Part IV of the Civil Aviation (Carriers' Liability) Act 1959 (Cth) deals with 'other carriage'. This includes domestic travel in Australia, as well as travel from Australia to a country not covered by any of the five conventions implemented by the Act. not being carriage to which the 1999 Montreal Convention, the Warsaw Convention, the Hague Protocol, the Montreal Protocol No. 4 or the Guadalajara Convention applies. Part IV imposes liability on a carrier, with certain exceptions, for injury or death caused to a passenger, or for the loss or damage to a passengers baggage.6 Where no convention, Part IV, or any applicable state legislation applies, then an action will be governed by common law principles. Other relevant pieces of legislation regarding carriage include the Customs Act 1901 (Cth), which regulates the import and export of goods via customs, and the carriage of dangerous goods is regulated by the Crimes (Aviation) Act 1991(Cth) and its associated regulations. In terms of the operation of civil aviation aircraft, the Civil Aviation Act 1988 (Cth) is the governing legislation, with its main object being to establish a regulatory framework for maintaining, enhancing and promoting the safety of civil aviation, with particular emphasis on preventing aviation accidents and incidents.7 The Civil Aviation Safety Authority was established through this Act under Section 8, and its role is to oversee this and other pieces of legislation to ensure a safe and high-quality aviation sector. 'Aircraft' has been defined by the Civil Aviation Act 1988 (Cth) to include 'any machine or craft that can derive support in the atmosphere from the reactions of the air, other than the reactions of the air against the earth's surface',8 and this includes helicopters, gyroplanes and many others as defined in Section 2(1) of the Civil Aviation Regulations 1988 (Cth). Australia has no specific consumer legislation with regard to aviation. Rather, the Competition and Consumer Act 2010, which commenced operation on 1 January 2011, replacing the Trade Practices Act 1974 (Cth), provides more generalised consumer protection and guarantees that apply across many industries. The Australian Competition and Consumer Commission (ACCC) was created in 1995, and its role is to enforce the Competition and Consumer Act and any other relevant legislation to ensure competition and its promotion is maintained, while protecting the interests and safety of consumers. the operator shall ensure that there are procedures in place to enable particular attention to be given to any disabled passenger in an emergency, as well as ensure that individual briefings on emergency procedures are given in accordance with the requirements of CAO Section 20.11 (the briefing must include which emergency exit to use, and the person giving the briefing should enquire as to the most appropriate way of assisting the passenger so as to prevent pain or injury). These requirements are made according to Section 235(7) of the Civil Aviation Regulations,10 which lists the penalty for contravening a direction given under the Section at 50 penalty units (currently listed at A$210). As mentioned in subsection iv, general competition and consumer legislation in Australia is contained within the Competition and Consumer Act 2010 (Cth). The Act incorporates the Australian Consumer Law in its Schedule 2, which includes provisions in relation to misleading and deceptive conduct, unconscionable conduct and unfair contract terms, and imposes obligations in relation to contracts for the supply of services to consumers. Under the Civil Aviation Act Section 9A(2), CASA must exercise its powers and perform its functions in a manner that ensures that, as far as practicable, the environment is protected from the effects of, and associated with, the operation and use of aircraft. Further to this, Airservices Australia is a Commonwealth entity that aims to implement environmentally responsible air traffic management and other services to the industry. An owner, operator, hirer or pilot of an Australian aircraft also requires an airworthiness certificate to operate, unless the regulations authorise a flight without one.17 Again, a person can apply for this through CASA, for the certain type of aircraft to be operated. Airworthiness is an ongoing obligation that must be maintained. To conduct commercial activities as set out in Section 206 of the Civil Aviation Regulations, including the carriage of passengers or cargo, an air operator's certificate (AOC) is required from CASA under Section 27 of the Civil Aviation Act. An AOC is issued for a specific term determined by CASA, and an AOC holder must reapply prior to the expiry date for a renewal of the AOC. In deciding whether a person is fit to hold an AOC, CASA may take into account such things as an applicant's financial position, and must issue an AOC if it is satisfied that the applicant has or is capable of complying with safety rules and other matters in relation to the applicant's organisation as set out in Section 28. The application must be in a form approved by CASA (Section 27AA)18 and CASA may impose certain conditions on the grant of the AOC that must be continually satisfied. For foreign-registered operators to gain authorisation to operate in Australia, there are a few different avenues they can take. The starting point is Section 26(1) of the Civil Aviation Act, which states that an aircraft shall not, except with permission of CASA, arrive in or depart from an Australian territory from a place outside an Australian territory. If the aircraft is already registered in a foreign territory, an application can be made for a foreign aircraft AOC through Section 27AE, which would allow the aircraft to operate on flights into and out of Australia; however, the flights must not be regulated domestic flights. If a person wishes to operate a foreign-registered aircraft on regulated domestic flights (and there has been no agreement with CASA under Section 28A(1)(a)), an application can be made to CASA under Section 27A for permission. CASA may only grant permission of this type if it is satisfied under Subsection (2) that: (1) the person not having a commercial presence in Australia has complied with conditions relating to obtaining personal liability insurance,24 and operation, maintenance and airworthiness conditions have been met; and (2) that in any case, to grant permission would not adversely affect the safety of air navigation. Mention should be made of the close relationship between Australia and New Zealand. A New Zealand AOC will be recognised in Australia (known as a New Zealand AOC with ANZA (Australia New Zealand Aviation) privileges) and comes into force in Australia under Section 28C, where the holder gives a copy to CASA, as well as a written notice of conditions imposed on the AOC by the Director of CAA New Zealand, the holder's Australian and New Zealand contact details, and any other information prescribed by the regulations. As a contracting state to the Convention on International Civil Aviation (the Chicago Convention), Australia has, in its Aviation State Safety Programme, set out a state safety policy, which ensures an effective safety system through various pieces of legislation. The ATSB is an independent body established to investigate transport safety matters, assess reports on safety matters, informing the public about transport safety matters, and many other responsibilities as set out under the Transport Safety Investigations Act 2003 (Cth). Under Sections 18 and 19 of this Act, immediately reportable matters, including death or serious injury to a passenger, serious damage to an aircraft or the aircraft going missing, must be immediately reported to a nominated official (ATSB or its CEO), and this must be followed up by a written report within 72 hours. In respect of each passenger, Section 41C sets out that under a contract of insurance, the insurer's liability to indemnify the carrier against personal injury liability is required to be for an amount of no less than A$725,000 for domestic carriage, and 260,000 special drawing rights (SDR) for any Montreal Convention or other carriage. CASA is the regulating body with regard to aviation insurance in Australia, and has the enforcement of the insurance and financial requirements of Part IVA of the Civil Aviation (Carriers' Liability) Act specifically listed in the Civil Aviation Act as one of its functions. Australia, however, does not require mandatory insurance for third-party damage. The Damage by Aircraft Act 1999 allows recovery for damage to people or property on the ground as a result of any damage caused from an aircraft or parts of an aircraft. Under the Montreal Convention Article 50, carriers are required to maintain adequate insurance covering liability under the Convention, so while there is no mandate for carriers to hold third-party insurance in Australia, it may be part of what a carrier considers to be 'adequate' insurance. A contract of insurance may, under the Civil Aviation (Carriers' Liability) Regulations 1991,28 through the adoption of a standard exclusion clause, exclude liability for radioactive contamination, nuclear risks, noise and pollution; or war, hijacking and other perils as set out in Subsection (2). Competition in the aviation industry, and other industries in Australia, is governed by the Competition and Consumer Act 2010, which incorporates the Australian Consumer Law, found in Schedule 2. The body responsible for regulation is the ACCC. Specific to the aviation industry, the ACCC works with Airservices Australia, and assesses proposals in relation to various pricing agreements for airports and aviation generally. The Commission may then grant approval or clearance if it is satisfied of these factors. 'Cartel provisions' have a broad definition under the Act, and include price-fixing and controlling, as well as preventing or limiting the production capacity or supply of goods.30 Breaches of cartel law are dealt with specifically under Sections 45AF and 45AG (criminal sanctions) and 45AJ and 45AK (civil sanctions) of the Competition and Consumer Act 2010, which make it illegal for a corporation to make or give effect to a contract or understanding containing a cartel provision. Part IV of the Civil Aviation (Carriers' Liability) Act 1959 states that where Part IV applies to the carriage of a passenger (see Section II.ii), the carrier is liable for damage sustained by reason of the death of the passenger or any bodily injury resulting from an accident that took place on board the aircraft or in the course of any of the operations of embarking or disembarking.31 The limit of liability of a domestic carrier in respect of each passenger (for injury or death) is A$725,000, and for carriage to which Part IV applies other than a domestic carrier, the limit of liability is 260,000 SDR.32 Damages are recoverable for the benefit of a passenger's personal representative in their capacity as personal representative, and can include damages for loss of earnings or loss of profits up to the date of death, the reasonable expenses of the funeral of the passenger, and medical and hospital expenses reasonably incurred in relation to injuries sustained prior to the death of the passenger.33 However, the court is not limited to financial loss resulting from the death of the passenger,34 and is therefore able to make an award for general damages for pain and suffering and loss of enjoyment of life up to the time of death. When assessing damages, the courts can vary widely in their assessments, further complicated as in some states, claims may involve juries in determining damages. The are no industry-specific mechanisms used to settle claims in Australia. Section 9C of the Civil Aviation (Carriers Liability) Act 1959 gives effect to Article 21 of the Montreal Convention, which limits the damages available to be claimed in compensation for the death or injury of a passenger. As mentioned in Section II.iv, the ACCC is the body responsible for ensuring fair business practices across all industries in Australia. The provisions in the Australian Competition and Consumer Act provide protection for consumers in relating to the quality of products they purchase, including guarantees as to acceptable quality43 and fitness for purpose44 of goods, due care and skill,45 and reasonable time for supply46 of services. Under common law, in personal injury matters, economic loss damages may be brought for special damages, for lost earning capacity or things arising from this, and non-economic damages for pain and suffering, loss of enjoyment of life and loss of expectation of life. For an action in liability for death, Section 35(7) of the Civil Aviation (Carriers' Liability) Act 1959 states that the damages recoverable include loss of earnings or profits up to the date of death and the reasonable expenses of the funeral of the passenger and medical and hospital expenses reasonably incurred in relation to the injury that resulted in the death of the passenger. The REPCON scheme was set up as a mechanism for voluntary and confidential reporting to the ATSB of issues that affect, or might affect, transport safety,49 and applies to manned aircraft, large remotely piloted aircraft (RPA), small RPA and micro RPA.50 Prior to the introduction of the Civil Aviation Amendment (Part 101) Regulation (see below), RPA were previously referred to as unmanned aerial vehicles. The Civil Aviation Act also provides a scheme where the holder of an authorisation, may have a reportable contravention disregarded if they can prove to CASA that they reported the contravention to the Executive Director of Transport Safety Investigation within 10 days of the contravention and before they were given a show cause notice.61 This may only be done once in a five-year period.62 The scheme is known as the Aviation Self Reporting Scheme, and the process for self-reporting, functions of the Executive Director and use of information is dealt with in Division 13.K.1 of the Civil Aviation Safety Regulations 1998 (Cth). CASA continues to engage in educating the community about the safe operation of drones, in particular recreational drones. In October 2017, directions were made to provide further regulation and safety for the use of certain unmanned aircraft.63 These included directions that a person was not to operate an unmanned aircraft within 3 nautical miles of the movement area of a controlled aerodrome, higher than 400 feet above the ground, within an area where emergency operations are being conducted or within 30 metres of another person (unless certain exceptions apply). A number of claims arising from the loss of Malaysia Airlines flight MH17 and flight MH370 have now been resolved. Sadly, the search to date for the missing aircraft from flight MH370 has proved fruitless. Competition remains intense in the aviation sector in Australia but recent increases in aviation fuel prices have seen some rises in fares. Inbound tourism, particularly from China, has seen significant growth in international traffic. This has in turn placed additional pressures on the available pool of trained commercial pilots and a skills shortage in the industry remains a real and growing concern. New pilot training regulations have not been well received by all in the industry. Regulation of RPA also continues to be of concern as the increased risks posed by unauthorised operation and proximity to commercial aircraft operations and airports have been difficult to adequately control by regulation. 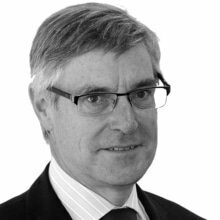 1 Andrew Tulloch is a partner at Colin Biggers & Paisley. 2 Department of Infrastructure and Regional Development; www.infrastructure.gov.au/aviation/. 3 Air Services Act 1995 (Cth) Section 8(1)(a). 4 Transport Safety Investigation Act 2003 (Cth) Section 12AA. 6 Civil Aviation (Carriers' Liability) Act 1959 (Cth) Sections 28 to 29. 7 Civil Aviation Act 1988 (Cth) Section 3A. 9 Montreal Convention 1999 Article 19. 10 Civil Aviation Regulations 1988 (Cth). 13 Civil Aviation Safety Regulations 1998 (Cth) Part 47. 16 See footnote 7, Section 20AA(1). 17 See footnote 13, Part 21. 19 See footnote 7, Sections 27AE(4)(a). 21 See footnote 13, Regulation 47.010. 22 See footnote 13, Regulation 47.100. 23 See footnote 7, Section 27(2B). 24 See footnote 6, Section 41E. 25 Maintenance Standards are contained both within the Civil Aviation Safety Regulations and the Civil Aviation Regulations Part 4A. 26 See footnote 6, Section 41E. 28 Civil Aviation (Carriers' Liability) Regulations 1991 (Cth) Regulation 9. 29 Competition and Consumer Act 2010 (Cth) Section 50. 30 Ibid. Sections 45AD (2)–(3). 31 See footnote 6, Section 28. 36 See Civil Procedure Act 2010 (Vic) Section 7. 37 Supreme Court (General Civil Procedure) Rules 2015 (Vic) Rule 9.06; County Court Civil Procedure Rules 2008 (Vic) Rule 9.06. 39 See footnote 7, Section 29. 40 Criminal Code Act 1995 (Vic) Section 6.1. 41 Damage by Aircraft Act 1999 (Cth) Section 10. 43 See footnote 29, Schedule 2 Section 54. 47 Mahony v. J Kruschich (Demolitions) Pty Ltd (1985) 156 CLR 522 at 527. 48 Civil Aviation (Carriers' Liability) Act 1959 (Cth) Section 34, and Article 35 Montreal Convention 1999. 49 The scheme was established under Regulation 7 Transport Safety Investigation (Voluntary and Confidential Reporting Scheme) Regulations 2012 (Cth) as provided for in Section 20A Transport Safety Investigation Act 2003 (Cth). 50 Regulation 7(2) Transport Safety Investigation (Voluntary and Confidential Reporting Scheme) Regulations 2012 (Cth). Under Regulation 7(3), the meanings of large RPA, small RPA and micro RPA have the same meaning as in the Civil Aviation Safety Regulations 1998 (Cth). 51 Transport Safety Investigation (Voluntary and Confidential Reporting Scheme) Regulations 2012 (Cth) Regulation 8. 52 Ibid. Regulation 10(1). A 'reportable safety concern' is defined in Regulation 10(2) as any issue that affects, or might affect, transport safety other than matters showing a serious and imminent threat to transport safety or a person's life or health, industrial relations issues and criminal conduct. 53 Ibid. Regulations 11 and 12. 54 Defined in Section 3, Transport Safety Investigation Act 2003 (Cth). 55 See footnote 51, Regulation 16(1)(a). 61 See footnote 7, Section 30DO. 63 Civil Aviation Safety Authority, CASA 96/17 – Direction – operation of certain unmanned aircraft, F2017L01370, 17 October 2017. 64 Civil Aviation Safety Authority (2018). Review of aviation safety regulation of remotely piloted aircraft systems, May 2018. 66 Air Services Amendment Bill 2018 (No. 2) (Cth).